Articles (a, an and the) are determiners. A and an are called indefinite articles because a/an means any; not a particular one. They are used before singular nouns. While a is used before consonant sounds, an is used before vowel sounds. The is called definite article because the means a particular one. The is used before any kind of noun when it means the particular one(s). 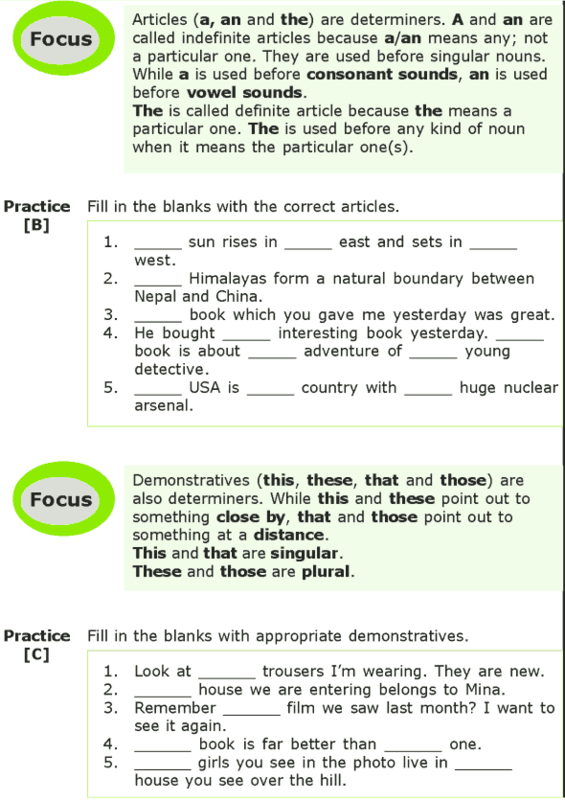 Demonstratives (this, these, that and those) are also determiners. While this and these point out to something close by, that and those point out to something at a distance. This and that are singular. These and those are plural.